‘Fifteen years old. Wanted: Dead or Alive. “Don’t love a spy,” warns fifteen-year-old Pinkerton agent Maddie Bradford, a lonely, rebellious outsider with a mind on fire and a photographic memory. It is 1861, the Civil War has just started and this motherless teen must move with her soldier-father from New Hampshire to Washington, DC-a city at war, packed cheek by jowl with soldiers, Rebel spies, slave catchers and traitors of all stripes bent on waging a war of destruction against the Union, and President Lincoln himself. Maddie’s journal, written in secret, of course, begins with her arrival at her aunt’s DC boardinghouse through the first year of the Civil War, a time, as Maddie puts it, full of “dips and dangers,” when she becomes a fearless Union spy. And then there is the mysterious, maddening Jake Whitestone, a young man who awakens something equally dangerous in Maddie: Love in a time of terror. It’s 1861 and fifteen-year-old Maddie Bradford is about to become a Pinkerton spy. Maddie can tell you how many roses are on the wallpaper of each wall of her aunt’s house when she walks in; Maddie also quickly finds her aunt’s gold wedding band. So of course she notices a suspicious exchange in the alley. And when she sees one of her Aunt’s boarders disguised as a clergyman and starts to piece together who he is, she makes him a deal: she’ll recount all the details of the exchange if he lets her meet Mr. Allan Pinkerton, the great detective. And not only does Maddie get to meet Mr. Pinkerton, she gets to work for him. Throughout the novel, Maddie proves her strength by masquerading as a boy, seeing through disguises, setting off to find her father who’s a soldier, and shooting. ‘“How well do you shoot?” Pinkerton asked. Without waiting for an answer, I slid the revolver from the shawl pocket. At that moment, Mike threw a tobacco tin up in the air. “Mind the cat!” Pinkerton snapped. I did not flinch. I fired. The bullet struck the tin. It tumbled through the air and landed on the floor. But what happens when Maddie receives her most dangerous mission yet, one that involves the infamous Little Rose? What is Nellie, Maddie’s Aunt’s servant, hiding? And who is PAN, (the reporter for the New York Tribune), really? I heard that this book was the first in a series, and I can’t wait to see more of Maddie’s adventures! The whole ‘dead sister’ subject didn’t really seem to mesh that well, but maybe that will be elaborated upon in later books in the series. I also wish it didn’t have such an open ending, but I suppose that was done to make way for the rest of the series. The language was as rich as the historical setting and the plot was full of adventure. 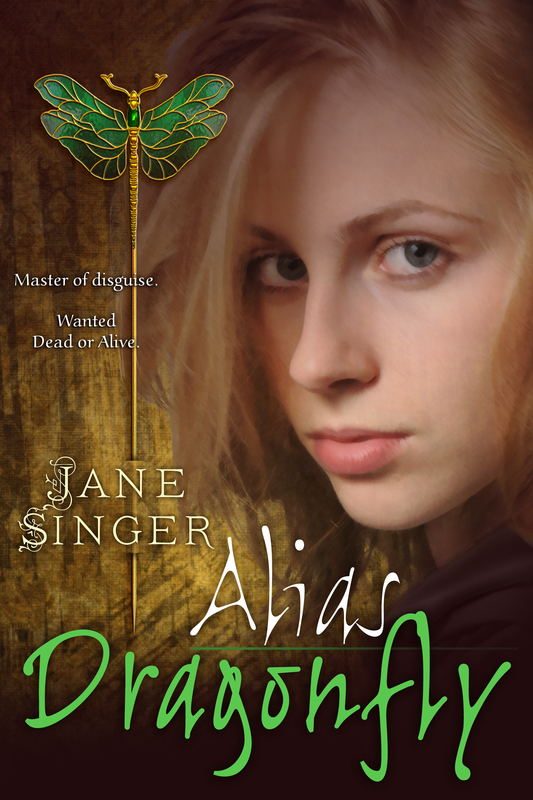 For a book filled with excitement and romance, all in a historical setting, read Alias Dragonfly! 3 out of 5 teacups. Love the quotes you included! I will definitely have to go get this book! I read this book and I really enjoyed it ~ I also thought that the cover was cool! Adding this book to my to-read pile!